Looking for Religion in Jonathan Abrams' "Boys Among Men"
Over the past few months I've settled into that ABD mode where nearly everything I read is filtered through a dissertation-colored lens. 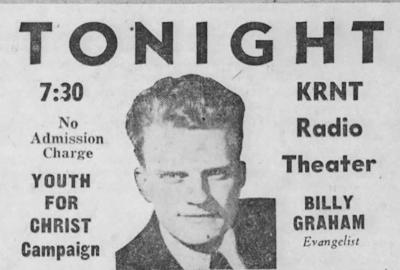 Since my dissertation is focused on the Fellowship of Christian Athletes and the cultural history of the "Christian athlete," this has done a number on the excessive amount of sports journalism that I consume. Not even Jonathan Abrams's new book could save me. Abrams has worked for the New York Times and the Los Angeles Times, but it was with ESPN's Grantland (RIP) that he became the writer whose pieces were heralded on twitter with their own hashtag (#AbramsAlert). His oral histories became particularly important sports internet events, especially after his piece detailing the "Malice at the Palace" – the 2004 brawl involving the Indiana Pacers, the Detroit Pistons, and more than a few fans. 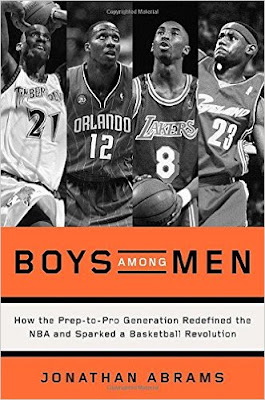 With a reputation for snagging insightful interviews and turning them into fascinating in-depth features, Abrams had a sizeable audience waiting in anticipation this year for his first book project, Boys Among Men: How the Prep-to-Pro Generation Redefined the NBA and Sparked a Basketball Revolution. Boys Among Men lives up to its hype as the definitive story of the "prep-to-pro" era in NBA history. Initiated in 1995 when Kevin Garnett elected to skip college and enter the NBA directly from high school, it effectively ended in 2005 when the NBA instituted an age minimum of 19. The prep-to-pro era saw both new superstars emerge from high school (Garnett, Kobe Bryant, Lebron James, and Dwight Howard, among others), and also cautionary tales: players like Korleone Young, Leon Smith, and Robert Swift who entered the league before they were ready (or so the typical narrative went) and squandered their bright futures. It was the highly publicized presence of the cautionary tales that gave NBA executives public cover to change their rules and end the prep-to-pro pipeline. Abrams brilliantly narrates the stories of the well-known prep-to-pro successes and failures, as well as those who were stuck somewhere in between. 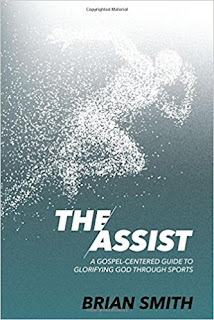 If you consider yourself a basketball fan, this is a book you should add to your summer reading list immediately. But this is a blog about religion, not sports journalism, and I am writing a dissertation about "Christian athletes" not prep-to-pro players. As I read the book I looked to see what, if anything, religion had to do with Abrams's story. Religion is present from Abrams' opening scene, which features Moses Malone, the "pioneer" prep-to-player. Malone skipped college and turned pro in the 1970s, two decades before it became routine. From Abrams we learn details about Malone's faith-inflected home in Petersburg, Virginia. Abrams mentions a picture of Jesus Christ that sat on the Malone’s mantel alongside pictures of Martin Luther King Jr. and John and Jackie Kennedy; he describes a Bible in which the 14-year-old Malone wrote of his aspirations to be professional athlete. We also see the way that college recruiters turned to religion in order to win the approval of Malone's mother, Mary. A representative from Oral Roberts University suggested that Mary's bleeding ulcer would be healed should Moses sign with the school. Maryland coach Lefty Driessel assured Mary that he believed in God and ran a Christian-based basketball program. Their appeals did not sway Moses. He turned them all down, choosing instead to join the NBA's rival league, the ABA, and launch what became a Hall-of-Fame career. Generally it is through these anecdotal bits and pieces that religion is apparent within Abrams' narrative. He notes, for example, that Kevin Garnett said a prayer of thanks as he walked up to the podium to shake NBA commissioner David Stern's hand after being drafted. Al Harrington is described as an involved and engaged high school student who also served as a church usher –here, participation in church serves as a symbol of respectability, the sort of thing a "good kid" would do. Religion also factors in as a motivating force for the young basketball stars' would-be mentors. After the Dallas Mavericks drafted Leon Smith in 1999, Bill Peterson, an assistant coach with the team, took the lead in attempting to help the rookie acclimate to the league. "Peterson was a religious man," Abrams explains. But Peterson could not break through to Smith. After a suicide attempt during his rookie season, Smith became the poster child for those who wanted the NBA to end the prep-to-pro wave. While Peterson was an NBA coach, more often the coaches and mentors in the book were high school or AAU coaches. Kwame Brown, for example, developed a relationship with the director of a local youth ministry, a man who "was one of the first male influences Brown came across without an ulterior motive." Korleone Young, a star player from Wichita whose career flamed out early, played as a youth for the Wichita Blazers, an elite traveling team. The coach of the Blazers held his players to rigorous standards, including a rule that all players attend church every Sunday. Then there's Dwight Howard, the most obvious person of interest for someone studying the "Christian athlete." Before he was drafted in 2004 Howard caused a stir when he described having a dream in which a cross was incorporated into the NBA logo. At the time Howard also talked openly about using the NBA as a platform to convert non-Christians, a stance which naturally caused ESPN business reporter Darren Rovell to wonder how Howard's faith would impact his endorsement opportunities. Abrams mentions Howard's Christian image and also the hit that his image took when he fathered several children out of wedlock. Somewhat to my disappointment, though, Abrams spends only a couple pages on Howard. This is completely understandable, of course: religion is not a central concern for Abrams. But even if Abrams is first and foremost a sports journalist focusing on vivid description and crisp, smooth narrative, he still managed to help me think about religion and sports in new ways. This was particularly true when it came to the educational institutions of the prep-to-pro players. As I read through the book I was struck by how many players attended private, religious high schools. Take Lebron James. In seventh grade James attended an informal basketball clinic hosted by Keith Dambrot at a Jewish Community Center. Dambrot, a former college coach, immediately recognized that there was something special in James and he became an important coach and mentor to the budding superstar. A couple years after their meeting at the Jewish Community Center, Dambrot moved with James to a Catholic-created space, becoming the basketball coach for St. Vincent-St. Mary High School. As a private, religious high school, St. Vincent-St. Mary provided a way for elite players to get around residency requirements that would have otherwise determined which public high school they attended. 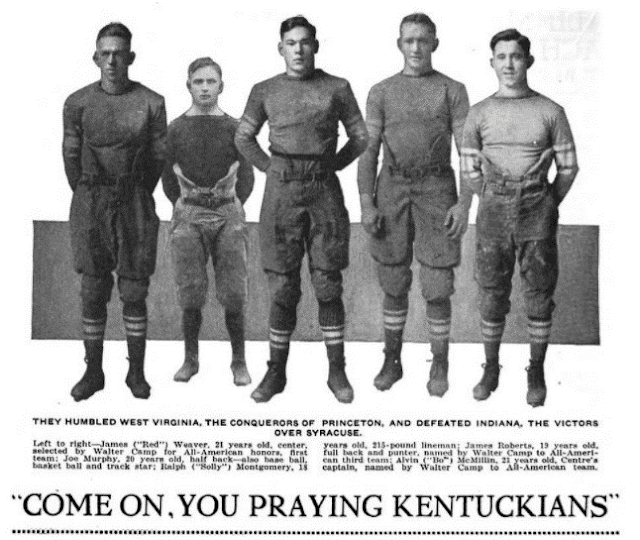 Thanks to religion, then – and its place within the educational and athletic systems and structures of the United States – James had a place even in high school to which he could take his talents. Abrams does not discuss the history of private religious schools, but it seems to me that the relationship of these institutions with the rise of big-time high school athletics would be an interesting topic to explore. Some of these schools (usually Catholic) have a long history that predates the economic and cultural forces that have given rise to the phenomenon of nationally-known high school basketball stars. St. Vincent-St. Mary, for example, traces its history in the Akron community back to 1897. Another Catholic high school known for elite basketball – though not necessarily prep-to-pro players – is Jersey City’s St. Anthony, founded in 1917. Private high schools associated with Protestant Christianity tend to be of more recent vintage. Indeed, through the first half of the twentieth century many Protestants believed that private (usually Catholic) religious schools were sectarian and divisive, an affront to American society. By the 1940s, however, a small group of white conservative Protestants increasingly agitated for the creation of private Christian schools. In 1947, for example, the National Association of Christian Schools was formed under the auspices of the National Evangelical Association. This movement had a minimal impact until the 1960s and 1970s, when the specter of integrated public schools along with Supreme Court decisions against prayer and Bible reading in public schools led to an explosion of private Protestant schools. Numerous players in Abrams' narrative enrolled at private Protestant institutions, including Tracy McGrady, Ndudi Ebi, James Lang, and Dwight Howard. Most of the schools were founded and led by African Americans. For example, Mount Zion Christian Academy in Durham, North Carolina, was founded in 1986 by black pentecostal pastor Donald Q. Fozard when "God revealed to Pastor Fozard the staggering influence of secular humanism upon students in the public school system." By 1996 when Tracy McGrady moved from his home in Florida to enroll in the school, Mount Zion's leaders had begun to recruit elite athletes. Abrams notes that half of that year's men's basketball team came from outside the state. The school caught the eye of Adidas, too, which was engaged in a battle with Nike for basketball shoe supremacy. Adidas donated gear to Mount Zion and also developed a relationship with Joel Hopkins, Mount Zion's head basketball coach. The corporate connections cultivated by Hopkins and Mount Zion paid dividends: when McGrady entered the NBA and signed a multimillion dollar shoe deal with Adidas, Hopkins received $150,000 per year for the duration of the deal. Mount Zion enforced strict regulations on its students, athletes included. Abrams notes that Hopkins "forbid cursing, television, and girlfriends" and "enforced Bible study." But rather than being a detriment to attracting young athletes, Hopkins used the rules as a selling point, framing them as a means of eliminating distractions in order to achieve NBA dreams. Thus, Mount Zion was able to capitalize on religion in two different senses: first, through an educational/athletic system which gave it the ability as a private religious school to recruit elite athletes, and second, through its religiously-motivated behavioral regulations and practices, which the school connected with athletic success. After high school McGrady went on to have a highly productive fifteen-year career in the NBA, earning seven All-Star Game appearances. He made over $160 million in salary alone (to say nothing of endorsement deals). But over the span of his career he grew disenchanted with his former mentors at Mount Zion. On the one hand, he credited them with helping him achieve NBA success. On the other hand, he felt used. "I wasn't old enough to recognize what was going on," he explained to Abrams. "I was young and too naive, too blind to see at the time and understand. But as I got older, I knew what was going on. That's why we don't really have a relationship today. They gained some financial off of me, which was understandable because they made some things happen in my life that probably wouldn't have happened if I didn't establish that relationship with them." Not all private Protestant schools operated in the same vein as Mount Zion. Dwight Howard's Southwest Atlanta Christian Academy, like Mount Zion, was founded in 1986 by a black pentecostal pastor. But it did not become a basketball powerhouse. And since Howard's mother was a teacher at the school he had connections to Southwest Atlanta Christian Academy far before his basketball skill was apparent. So, too, other church-affiliated "basketball factories" had important differences with Mount Zion. Perhaps the most famous of all such schools, Oak Hill Academy, was founded in rural Virginia as a white Baptist institution in the 1870s. Until the 1970s Oak Hill specialized in taking in troubled kids and trying to help them turn their lives around. Then in 1976 the school decided to try out a new strategy: it would recruit elite high school basketball players – often black players from large cities – offering them scholarships to transfer to Oak Hill and showcase their talents for college coaches. By the 1980s Oak Hill had an established reputation as a national basketball powerhouse, a reputation still going strong today. The rise of big-time, big-money athletics within colleges and universities is a story well-told by historians. But its existence at the high school level seems to be in need of more historical and scholarly exploration. And if schools like Mount Zion, Oak Hill, St. Anthony, and St. Vincent-St. Mary are any indication, that story is probably connected to religion and religious institutions in important ways. So here's to Jonathan Abrams: not only did he write a book that is likely to go down as a classic among basketball aficionados, he also helped me think in new ways about the intersection of religion and sports in American society.